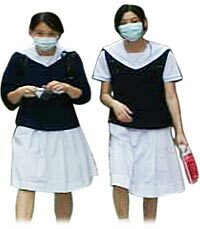 The SARS epidemic may be an early test of the ability of medical science to respond to a swiftly spreading, globalized infectious malady. FRONTLINE/World follows one distinguished researcher to Hong Kong, and China, as he scrambles to help his colleagues around the world grapple with SARS. FRONTLINE/World reporter Renata Simone has covered the spread of AIDS around the world. That turned out to be exactly the right preparation for covering SARS. 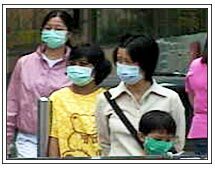 Three of the researchers looking for a possible treatment for SARS at the University of Hong Kong spell out the science behind uncovering the mysteries of a new virus. Read a discussion with FRONTLINE/World reporter Renata Simone as she answers questions about "Chasing the Virus."